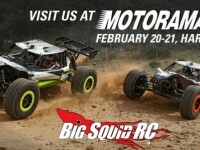 motorama « Big Squid RC – RC Car and Truck News, Reviews, Videos, and More! You are browsing the "motorama" tag archive. A couple of weeks ago we posted a bunch of pictures from the Motorama 2012 event. We just got word from our Hobbico friends of a video they just released from the show. Enjoy!